After arriving at Angel Island on September 6, 1932, Yee Tet Ming (the true son of a Chinese merchant) was almost deported back to China for fraudulent entry when certain answers that he gave during the immigration interrogation did not match those of his father and brother. As a result, he had to spend six months locked up on Angel Island while his attorney appealed his case to the higher authorities. The experience would mark him forever. After he was admitted into the country, he devoted much of his life to fighting racial discrimination, labor organizing, and helping to build a stronger China. His work served to better the lives of Chinese Americans both during his time and for future generations. Yee Tet Ming was born on April 20, 1911, in Lungtu, Zhongshan County, Guangdong Province. His mother died when he was a small child and his father was often away because he had a store in Hong Kong and he left for the United States in 1922. Yee attended school in the village and lived with his grandmother, stepmother, and two siblings in a relatively large house with one servant. At the age of 18, Yee married Low Wing Hin from a nearby village. It was an arranged marriage. When interviewed by his daughter Irene years later, Yee said that he was happy on his wedding day and liked the way his new wife looked when he finally saw her. The couple lived with Yee’s family until he finished school at the age of 22. He then moved to Hong Kong to work as a bookkeeper at his father’s fabric store. A year later, he was summoned by his father to join him in America. “At the time, I did not want to come, but my father insisted,” Yee said. “He wanted me to attend school here and to help him out at his store [Canton Market in San Francisco Chinatown].” But he had to leave his wife and one-year-old daughter, Etta, behind in Zhongshan because laws at that time prevented him from bringing his family. He would not see them again for fourteen years. Upon arrival, Yee Tet Ming passed the medical exam but failed the interrogation. According to his immigration records, immigration inspectors said he was evasive and often changed his answers or pleaded inability to remember when questioned about family matters he should know, such as whether his brother died in the bedroom they shared and details about the school he attended. Because “the evidence of record does not satisfactorily establish that the applicant is the son of [merchant] Yee Jung Pang,” Yee Tet Ming was excluded and ordered deported back to China. His father hired a lawyer to appeal the decision. After six months, Yee was finally released from Angel Island. He first worked as Assistant Editor of the Chinese newspaper, Kuo Min Yat Po (Chinese Nationalist Daily), and later as a houseboy for a white family and as a waiter at a restaurant. Soon after, he joined Local 110 and was elected to the Executive Board. Because of the Great Depression, many unions were striking for bargaining rights and other benefits. It was Yee’s job to count the number of protesters from his union by going to the picket lines and having picketers sign their name on a card; however, when they met Yee, a Chinese man, they refused to sign the card. Yee went back to his union and recommended a $25 fine, a large amount of money at the time, for any worker who refused to sign for Yee. The next day, when he arrived at the picketing site, all the picketers came to him to sign. Yee was also active in the Chinese Worker’s Mutual Aid Association. The association worked to fight racial discrimination, support the labor movement, and find jobs for Chinese immigrants. 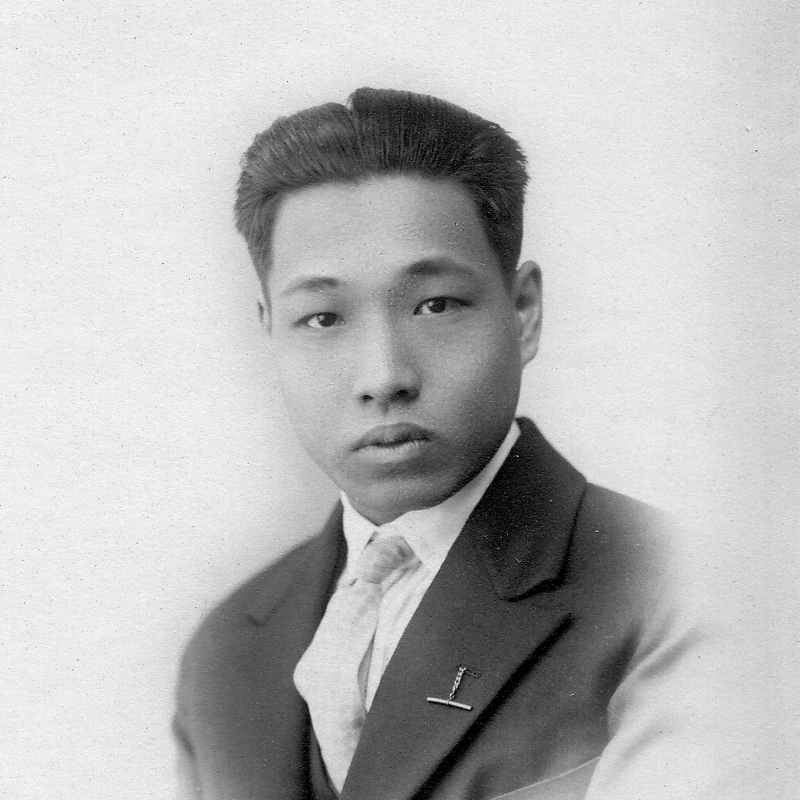 After the Japanese invasion of Manchuria in 1931, Yee helped to organize a boycott against scrap iron exports to Japan. According to Yee, “I got the Chinese community and longshoremen to protest because [I was afraid] someday the scrap iron might be used against America. A few years later, Pearl Harbor happened.” He also assisted Chinese immigrants who were persecuted by the INS and FBI during the time of the Confession Program in the 1950s. There was this officer by the name of Doyle who was always yelling at the Chinese and saying bad things about us. Every morning at revelry time, he would stand next to me. It was very irritating to hear him insulting the Chinese all the time. I wasn’t going to physically fight him since he was so much bigger than me. Finally I told him, ‘Doyle, your name is on this shell (pulls out an empty shell from his pocket). When we cross the line, I will kill you before I kill the enemy.’ I said that to him every day for a week. He not only stopped insulting us, but he later went AWOL. Because of his military service, Yee was able to become a naturalized U.S. citizen. After the war, he returned to California and opened a grocery store in Oakland. By then, Congress had repealed the Chinese Exclusion Act and granted Chinese aliens naturalization rights. Yee died in 1996 at the age of 85. For more information, read “Tet Yee: All Because China Was a Weak Country,” pages 287-291 in the second edition of Island: Poetry and History of Chinese Immigrants on Angel Island, 1910 to 1940, by Him Mark Lai, Genny Lim, and Judy Yung (2014, University of Washington Press). Janet Silver Ghent, “Piecing Together a Family History,” Oakland Tribune, July 7, 1992, p. B-2. Erika Lee and Judy Yung, Angel Island: Immigrant Gateway to America, New York: Oxford University Press, 2010. Felicia Lowe Productions, “Carved in Silence,” San Francisco: Lowedown Productions, 1987. Lia Dun wrote this story when she was a student at Yale University and a Tina Yeh Fellow at the Angel Island Immigration Station Foundation.